Want to Sell Your Car? We buy your car hassle free, fast and offer the best price. Simply enter your vehicle registration and you will receive an immediate valuation. For a quick and safe car sale you need a reliable and a professional partner. 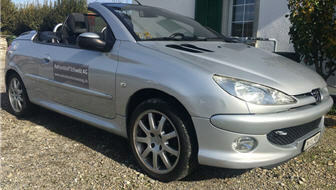 We guarantee a fair evaluation and offer for the best selling price for your car. 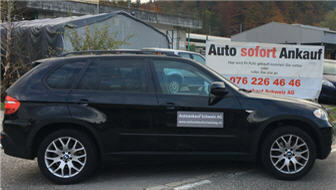 Autoankaufschweiz AG based in Zurich, Switzerland, provides completely customer satisfaction. The company operates in the entire German-speaking part of Switzerland. 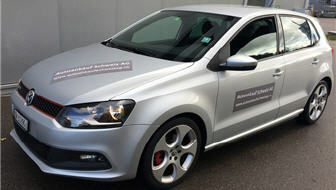 Autoankaufschweiz AG is a leading car company and with a national coverage across Switzerland. We are a very proud Swiss company that ensures to offer the best price and a completely satisfied customer experience . If you have any questions, please do not hesitate to contact us or submit your application online. We will buy your car today! We would be happy to count you among our satisfied customers. 1. For a first quote, please fill out the form with the exact vehicle data. 2.You will receive free offer for your vehicle by e-mail. 3. After this we will arrange a appointment by phone to evaluate your car in our shop. 4. If you decide to sell your car to us, we will transfer the purchase price to your account within a few working days. Why should I sell my vehicle Autoankaufschweizag.ch? Autoankaufschweizag.ch. offers you a serious and secure transaction to buy your car. What do I have to bring with me to the appraisal date? Vehicle, vehicle key, vehicle registration card, registration certificate and all documents. After the agreement, we arrange a pick-up date and time with you. When picking up, all data and the vehicle will be briefly checked again. If all the information is signed, on both sides sign the purchase contract. We pay the agreed purchase price in cash. Then we load the vehicle and that's it. Fast, safe and at the best price, there are no annoying viewing appointments and test drives more necessary. No, you never pay any fees when selling your vehicle. How do I know what my car worth is? What your car is worth, we determine at the assessment date. A vehicle rating is done at your location. The value of a car depends on many factors, which is why this question can not be answered flat rate. We pick up your vehicle at your place for free! Upon contact and order, we will come quickly as possible with one of our vehicles or vans and pick up the car. This fast service is free. Do you also buy motorcycles? Yes, we have been buying motorcycles since 2005. After agreement, we arrange a pick-up date and time with you. The documents of the motorcycle will be checked at the pick-up date at your place. If all the information is agreed and both sides have signed the purchase contract, then we pay the purchase price in cash. Then we load the bike and that's it. Fast, safe and at the best price, there are no annoying viewing appointments and test drives more necessary. 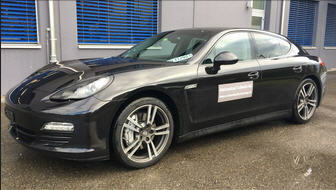 Established 15 years ago and being a totally independent, Autoankaufschweizag is a long-standing, family-owned business with a large retail dealerships, we are always constantly on the look-out for high quality vehicles.We give you the most accurate and fair price for the sale of your used car. We are one of Switzerland’s most trusted car buyers. We buy your used cars, regardless of their condition, kilometer or model. We do not limit ourselves to a particular type of car when we say autoankaufschweizag; we can buy any car. We are open 365 days, Sundays and all holidays.